New professional structures are on the way—even if players don't care. In traditional sports, player welfare is a serious issue. A football player who breaks an ankle or gets a concussion could end their career, or even put their life at risk. The physical aspect of traditional sports is an obvious reason as to why player welfare has to come first, but esports is quickly finding itself contending with similar issues. League of Legends, as one of the largest esports, is finding itself on the frontier of this battle with the NA LCS Players’ Association, a Riot funded initiative to give players a voice and protection in their career. Are initiatives like this enough, especially considering the unique nature of the field? It’s too early to tell at the moment, but we’re already seeing some cracks in the plan... and reasons why League of Legends players desperately need this protection. The equipment wasn’t up to par, the chairs were simple office chairs, and there was no air conditioning or laundry. 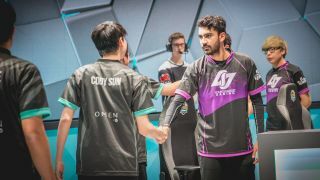 A Players’ Association is a standard in major American sports leagues, but the NA LCS Association will be the first equivalent in League of Legends. This may be a response to the #LCSForever controversy last year, where team owners and Riot clashed over relegations, monetization, and arbitration. The Players’ Association will be funded by Riot, but the idea is to give players a voice before any big changes to the league come through. In addition, there will be independent arbiters on hand, including agents, lawyers, or financial advisers. Right now, these services are often provided by the orgs themselves. Of course, there’s the question of how fair a Players’ Association is that’s funded and run by Riot, but the goal is to move towards self-funding by the players and making the association an independent union. The players have voted in former NBPA counsel Hal Biagas as the head of their association, and there’ll be further meetings and negotiations in July, August, and September. When you think of League of Legends players, you probably think of kids playing games in an air conditioned house, or the relative luxury of the LCS stage. If you asked the players for Tainted Minds, they’d paint an entirely different story. The Australian org came under heavy fire in February after the org’s players and coach walked out, claiming that the environment was unsuitable and unsafe. The team moved into the house, and immediately found issues with what they had compared to what was promised in their contracts. The equipment wasn’t up to par, the chairs were simple office chairs, and there was no air conditioning or laundry. In the Australian heat, it was a situation that could turn dangerous. There wasn’t a satisfactory resolution to the Tainted Minds scandal for most players; the org was hit with a relatively small fine for not meeting contractual obligations, and the roster was released. If they had a Players’ Association, it could have been a different story. North America, as one of the most visible regions, seems a good place to start. There doesn’t need to be something as dramatic as players asking management for food and having their shoes melt for a player to be put at risk. Putting lots of people, many of them young, in one environment is already risky enough. Adding money and a taste of fame increases the chance that something can go wrong for a player. There are many of the same risk elements as, say, a child star faces growing up. It sounds dramatic, but this is an age where mental health conditions can emerge in a wildly stressful environment, and players are finding themselves in the mix for longer than ever. We’ve moved past the days of very short careers and then a tactical retirement; players can be part of the game for years, and it’s important to make sure they have a future by the time they leave the LCS. Giving them resources helps keep everything on the rails, and prevent players from making poor life decisions. In addition, if they can influence the development of the league, they feel like they have some measure of control over their profession. It’s a win/win, right? There’s one problem with the equation, and its that players don’t seem interested or invested in a players’ association. Blitz Esports posted an article where they spoke with five LCS pros, and not fresh faced rookies. The prevailing theme of the piece seemed to be low level confusion and apathy. Why did people vote for Biagas? He seemed smart, and had relevant experience. What exactly would he do? They weren’t sure. Would the NBA experience transfer over to League? Maybe. The main issue that the players’ association will face—and that organizations are already dealing with—is that you can lead a horse to water, but you can’t make it drink. Many organizations already offer access to lawyers, financial advice, and ways to build life skills... but if a player doesn’t take advantage of that, you can’t force them into it. This sense of safety is certainly admirable, but there are a lot of risk factors in the North American LCS that could cause something to go terribly wrong. As the players’ association advances in the coming days, they’re going to be combating that apathy. On the other hand, it’s hard to blame players for not being up on these things. There’s a very real possibility that we’ve just been tremendously lucky so far, and that the North American LCS hasn’t had any player welfare crises or spectacular burnouts... yet. The Tainted Minds situation, after all, happened in OCE, a far less developed region. It can be easy to see how North American players look at their relatively secure and safe region and don’t feel any sense of danger or urgency. This sense of safety is certainly admirable, but there are a lot of risk factors in the North American LCS that could cause something to go terribly wrong. Put players in a house, at a vulnerable age where mental health and financial issues are incredibly common, and give them money and fame, and it seems inevitable that something will happen eventually. Riot’s efforts to franchise and build a players’ union may be about more than just building up the LCS: it may be a way to head off a player welfare disaster before it has the chance to occur.